The congregation at Sutton have been considering how to upgrade the facilities including having a toilet and a servery. Working with the Friends of Sutton Church, a project team has been working on what to do and how to take this forward. As part of the wider consultation, an open morning was held in the church on the 5 December which gave opportunity for feedback on the various options the PCC will need to consider. Over 30 people came along to the morning, including local residents and users of the church. 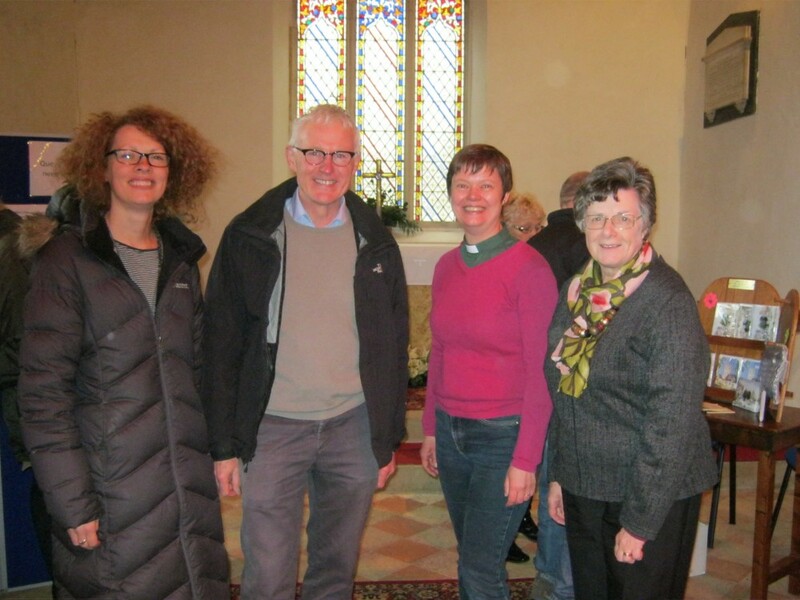 They enjoyed festive refreshments as well as having the opportunity to look at ideas and consider how the church could be reordered. It was encouraging to receive the support of North Norfolk’s MP Norman Lamb, our County Councillor Nigel Dixon and District Councillors Robert Stevens and Pauline Grove-Jones. An architect will be selected in January 2016 to take on the project and the Friends have kindly agreed to do the fundraising on behalf of the Church. Look out for updates on how we progress.